There are many sensitive topics that present themselves immediately after a couple has announced their engagement and that is preferably AFTER the groom to be has asked for permission, from the parents of the Bride, to take their daughter’s hand in marriage before he proposed, but that’s for another day. Times have changed, an adage probably invoked too frequently and often times as an excuse for socially unacceptable behaviors, also for another day. What has not changed is the interaction between a mother and her daughter as the young lady makes her plans for the most important day of her life. A Mother’s influence begins to come to a close as her daughter celebrates the beginning of her life journey with her new partner. From conception to wedding day, a Mom’s true purpose through love, teaching, compassion, understanding, empathy and guidance is to prepare her daughter to become independent and make good choices. When her choice of life partner is made it is a cause for celebration, rejoice and congratulations for the Mom knowing she has had a hand in the preparation of her daughter to make this choice. The Bride has been influenced in ways she will not fully understand until she becomes a mother herself. The bride has learned from her mom, resisted influence from her mom, has not always understood her mom’s rules, words, consequences, or emotions. She also, after reflection, understands that her mom has unconditional love and wants nothing more for her than to happily live a long life. From proposal to honeymoon this dance between Mother and Daughter may seem tense and confrontational but it’s a dance done with love and caring so ADVICE to Dads, sisters and the groom, LISTEN but don’t join, or worse yet, try too cut into the dance. Periodically all those involved should ask, Who’s wedding is this? We are gathered here today to…….? From proposal to honeymoon your story is unique. There are countless decisions to be made in a limited amount of time. Set a date, make a guest list, find a reception venue, chose the wedding party, pick a dress, pick your friends dresses, will there be guests favors, what should be bought for Bridal party gifts, who’s the photographer, what about a band instead of a Sound system, a violinist or a Harpist the list goes on and on and on and on and on!!! The budget, if you set one, is in jeopardy of approaching national debt levels. Everything seems to be spinning out of control. Stop, Step back, Breathe and keep it in perspective, Prioritize and don’t lose focus of the true mission, the point of it all, the reason you are doing this, the final goal……. You are getting married! Embrace the meaning of marriage, remember why you asked or why you said yes to get married, create your memories, look forward to your future together. With everything that needs to be done don’t allow it to diminish the real reason for the celebration. 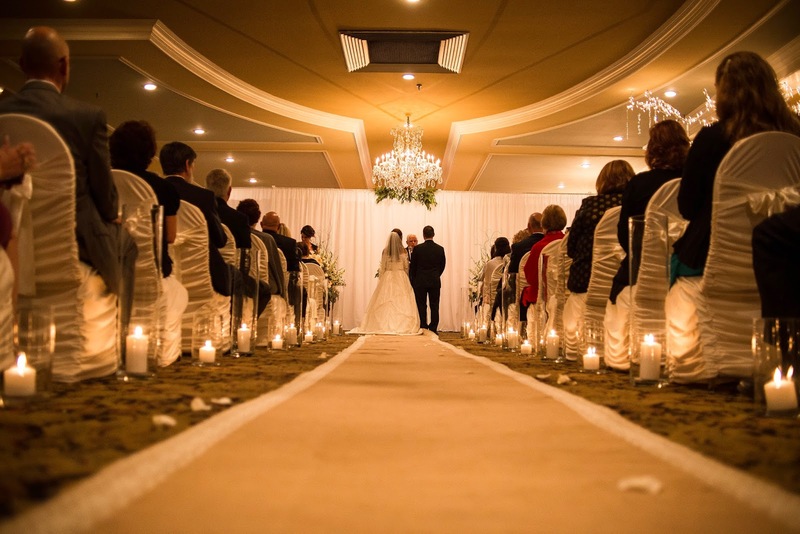 All the choices you will be making together as a couple are made to create that magical day to leave a lasting impression on you and your guests. Without losing yourself in the whirlwind of wedding planning, surrender to it and enjoy it knowing that the purpose of it all is to express your love, commitment and trust to each other with all your loved ones as witness to this special occasion. It’s normal to be excited and worried about the seemingly never ending list of obstacles to overcome. Surround yourself with family & friends who have your best interest at heart, hire professionals who are willing to listen to your vision and above all “To thine own self be true”.